When you are on your feet all day long you need the best shoes for nurses you can get to get you through the long day. Nurses spend the majority of their shifts on their feet moving from patient to patient and they cannot afford to have sore painful feet or have a shoe that does not provide them with the protection they need. Similar to nurses, teachers also spend a lot of time on their feet so they need comfortable shoes designed for teachers. 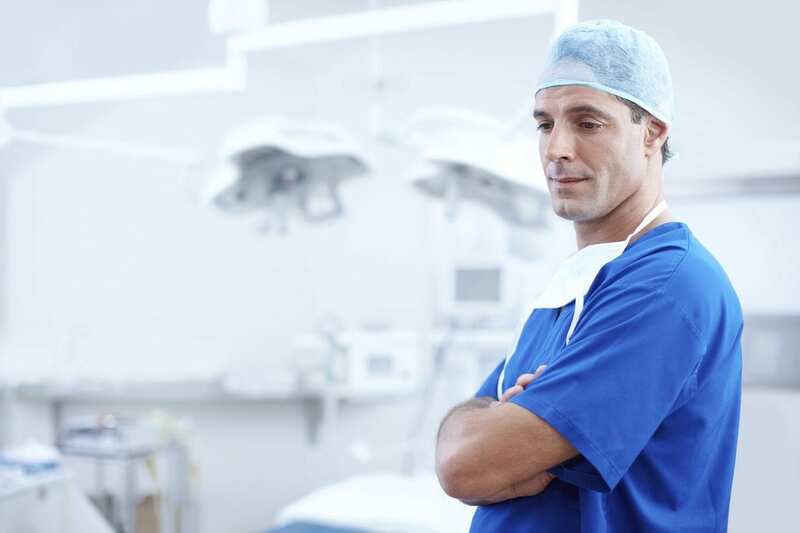 We take a look at some of the best shoe for RN’s on the market for a nurse, taking into consideration the material they are made from, their overall construction, how comfortable they are to wear, how easy to get on and off and of course durability. If you are looking for other work footwear, check out our review on the top chef shoes. View the Best Shoes for Nurses on Their Feet all Day, Below. What are the Most Comfortable Shoes for Nurses? What are the Top Shoes for Nurses with Heel Pain? What Nurse Shoes for Wide Feet? What are the Best Nurse Shoes for Men? One of the important aspects of any nurse’s shoes are that they need to provide a non-slip sole as a nurse often have to traverse areas that have some form of debris on the floor, such as water and other liquids. No matter which one of the nurse’s footwear we have reviewed here for you, you choose to purchase, you will be getting quality footwear that will see you through your long day, keeping your feet protected, stable and comfortable. The Dansko is not only a great looking shoes for nursing professionals to use, it is very practical, comfortable and durable, giving you a professional look while serving its main purpose, protecting your feet. The Dansko is a top brand when it comes to work shoes and the Dansko Women’s Professional Clog is one of the most comfortable on the market in 2019. Made from leather these are extremely durable and stylish ones. The synthetic sole is both comfortable and offers the slip resistance you need when at work. The heel of the Dansko is about 2” and the platform around 0.5”. The Dansko is extremely comfortable featuring a padded instep collar, polyurethane outsole with rocker bottom which gives you the shock-absorption you need when standing, walking or running around the wards. 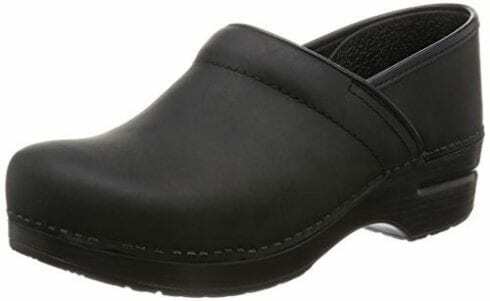 These clog type shoes offers a wide comfortable and roomy fit for any type or size of the foot. These are extremely durable shoes that are very easy to clean and keep looking professional at all times. The wide heel of these great shoes for nurses will keep you stable and the PU outsole with the rocker bottom will not only absorb the shock when walking but also propel your foot forward adding to your comfort levels. The reinforced toe box protects your foot from falling objects. These are great professional nurses shoes that is not only extremely durable it looks good too. The rocker bottom absorbs the impact of your heel strike while the wide heel keeps your foot stable. The padded instep collar and PU outsole not only add to your comfort but also ensure your foot is protected along with toe box. 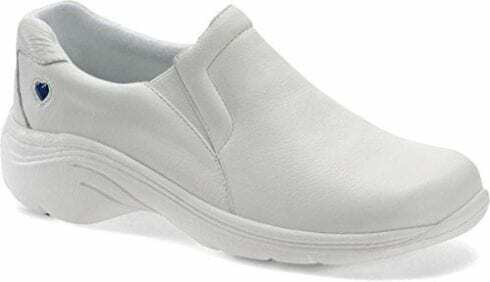 These are high quality, ultra comfortable and great looking slip-on shoes that every nurse will appreciate. The leather upper is both durable and easy to clean as well as giving it a very stylish look. The low top shoes for RN’s to wear have a heel that measures about 1.5” and the platform measures around 1”. The roomy foam bed of the shoes offer superb comfort and it has contrast stitching edges with an elastic goring that allows you to put the shoes on and take it off easily. These are classic looking shoes that is designed for your comfort, the insole, although anatomically designed for the perfect fit, is removable to allow you to opt for your own orthopedic insoles if you want to. The Alegria is designed with a very comfortable toe box which is roomy enough to allow for some toe movement with a memory foam footbed which cushions the foot. The slip-resistant lightweight rocker outsole will not only prevent slipping but also provides stability and will propel you forward. The leather upper is stain resistant and easy to clean. These are fantastic, stylish, comfortable professional shoes for RN’s that offers everything you need to ensure that facing a long day on your feet is not as much of a challenge as it used to be. Memory foam footbed, slip-resistant rocker outsole, removable insole and toe box are just some of the great features of the shoes. If you are looking for shoes that will keep your feet safe and comfortable during a long shift on the wards, as well as not hurting your pocket, then look no further than the Croc’s Women’s Mercy Work Clog. These Croslite shoes has a roomy design that is best for the RN who is on their feet every day all day. The lock tread ensures that you are secure when walking on any surface and the heel-hugging backstrap on the Crocs Mercy ensure that your foot remains inside the shoes at all times without a chance of slipping or falling. The nubs that run along the footbed provide a massage-like feel when walking and the arch support keeps your foot comfortable and stable during the day. The Crocs are not only easy to clean they are also odor resistant for those long hot days. The outsoles of the shoes are non-marking. Lightweight and comfortable, the best shoes for any professional RN to wear. Clog type shoes are best for the surgical RN who has to change their shoes often as they go in and out of the theatre and the Croc's with their great price is perfect to be able to have more than one pair available at all times. A pair of shoes that will keep you comfortable and secure on your feet all day long during your shift. Designed to offer ultimate comfort with a footbed that features massaging nubs, a roomy comfortable fit, and heel-hugging backstrap. Slip-resistant outsoles that are also non-marking round out these great RNs shoes. 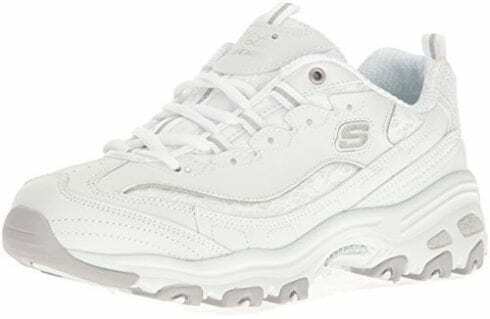 The Skechers brand has long been known for its comfortable, stylish work shoes and the Sports Memory Foam Sneaker is no exception to the rule. With a leather, synthetic and mesh upper, and a cushioned mesh tongue the Memory Foam Sneaker is sure to make a long day on your feet less challenging in all respects. The rubber sole not only offers great traction on any surface it is also non-slip and comfortable. These lace-up shoes for RN’s fit snugly on your foot protecting and supporting it, keeping you stable and comfortable. The padded collar and overlays which offer great support, along with the memory foam insole are what makes these shoes stand out when it comes to comfort and support. These shoes are also durable and breathable. 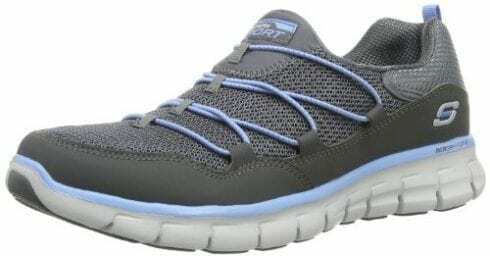 These sneaker style shoes are best for the RN who works in the ER or ICU where they need to be quick and light on their feet moving between patients constantly. These are great RN’s shoes must allow you to concentrate on your work and not on your aching feet, and that is what the Skechers Memory Foam Sneaker does every day all day. These are great lace-up shoes for the professional RN that will keep your foot protected throughout the day. The comfort level of the shoes are high with the memory foam insole, padded collar, and supportive overlays. The non-slip rubber outsole offers you security no matter what surface you are walking on and the lace-up style shoes will ensure your foot is secure always. 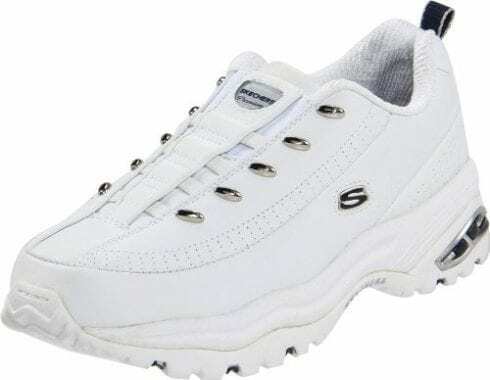 This is another great offering from Skechers that are sneaker styled shoes that offer the security of laces but doesn't want to have to tie your lace all the time or run the risk of them coming loose and causing a tripping hazard then Skechers Sport s Women’s Sneakers are best for you. They have a bungee lace system that will keep your foot snugly secure in the shoes and not give you the headache of having to tie them at the least appropriate times. The rubber sole of these great sneakers offers superb traction, as well as non-slip qualities which are essential if you are working in a hospital environment. The flex groove outsole moves with your foot to offer you a new level of comfort and support, as well as offering stability. Comfort in the shoes is enhanced with the memory foam insole and breathable mesh upper which mold to your feet. These are great RN’s shoes that will allow you to stand, walk or even run all day long during your shifts and not experience the sore aching feet that often plague professional nurses. These are the best shoes for nurses working in the wards, ER or ICU and have to be moving constantly varying between walking, running and standing during the course of their shift at work. Having shoes that not only secures your foot but offers comfort stability and a touch of style is always a nurse’s first choice. That is what this Skechers does with the bungee style slip-on lace, breathable mesh upper and non-slip rubber sole with flex groove outsole, they offer stability, breathability, comfort, and support. Another great offering from Skechers for the working professional who needs safe, comfortable and supportive shoes for the long days they spend on their feet. Slip-on style shoes are perfect for those nurses who work in theatres and have to be able to remove their shoes in an instant to put on other shoes when entering the theatre. The slip-on style sneaker is easy to put on and take off and offers a touch of style with the polished hardware and perforated panels for breathability. The padded collar and tongue add to the level of comfort. Your heel is cushioned by the supportive air cushion. The leather upper is not only durable but also easy to clean. The stretch front panel, stitching and logo details make these are great looking shoes as well. Lightweight and all the comfort of a lace-up without the hassle of laces the elastic insets keep your foot comfortable and offer a great fit. The EVA midsole will act as a shock absorber and the durable, non-marking rubber outsole offers you some of the best traction around. These are the perfect shoes for the working professional RN to wear especially for those working in the operating theaters. This is one of the most comfortable nurse's shoes on the market today with features that ensure your foot is not only protected but also kept in comfort throughout the long day. Air-cushioned heel, stretch front panel and leather uppers all add to the appeal of the shoes along with there easy slip-on style and non-slip rubber sole. These are not only a great looking shoes that have a rubber sole and patent leather upper to provide the support and comfort you need for a long day at work. These are low top shoes with a 1.5” inch heel and 1” platform perfect for the RN. Comfort is the name of the game with these great shoes. The platform sole of the shoe is rubber and provides you with the best traction and non-slip qualities that every great nurse’s shoe requires. A Mary Jane that features great button detailing to give it a trendy and funky look great for those working in a pediatric ward. The leather upper is both durable and also easy to clean and maintain. The insole of these great slip on style ones are removable, so you can replace it with your own orthopedic insole to alleviate any foot issues you might have. The built-in arch support will help you to prevent heel pain and plantar fasciitis. The footbed is anatomically correct and will mold to the form of your foot to give you great comfort. The rocker outsole will help you to reduce the pressure on your toes and heels and the roomy fit of the shoes allows your foot to have some breathing room. A great shoes for the RN that offers you the arch support needed to alleviate heel pain, removable insole to allow you to fit a specific orthopedic insole, anatomically correct footbed to mold with our foot and non-slip rubber sole. The leather upper is not only durable but easy to clean and maintain. Reebok has long been known for producing quality shoes that are durable, comfortable and worth the money that you pay for them, whether they are used for work or leisure. These lace up monochromatic walking shoes are no different. 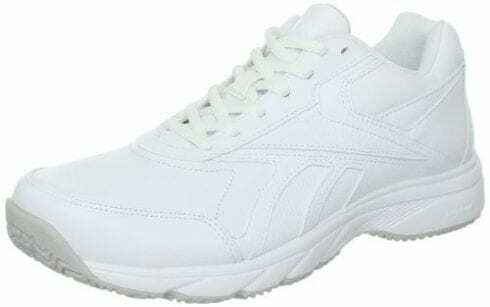 The Reebok Women’s Work N Cushion offers a protective toe bumper which protects from falling objects, while the padded collar ensures that your arch gets the comfort they need in a lace up style ones. The rubber sole and outsole are both slip and oil resistant. The Reebok offers a beveled heel will not only add another level of comfort but also give you forward momentum when walking. The synthetic upper is breathable and comfortable as well as being stylish. An extremely durable type shoes that is easy to clean and maintain. A flexible, supportive type that gives you stability, this is the perfect types for nurses to wear when working on the wards and spending many hours on their feet. This is the perfect shoes for any RN working in the demanding are of the ER or ICU where you need to move with speed between patients. It’s non-slip qualities ensure you will not have any accidents as you work and protects your feet from spills and fluids. When you spend all day on your feet you need some shoes that will not only offer you the comfort levels you need but also keep your feet protected and supported during the day. The Reebok with its lace-up style closure, beveled heel, padded collar and protective toe collar offers you both comfort and support throughout the day. A style of shoe that is specifically designed to meet the needs of a professional RN, the Nurse Mates Women’s Dove has all the features that you need to get you through the day. The tumbled floater leather uppers are not only stain-resistant but also ultra-light and durable. They also enhance the look of the shoes offering you a touch of style to go with the practicality of the footwear overall. The outsoles are also extremely durable as well as offering an EVA unit bottom with rubber inserts making the sole slip-resistant which is an essential of any good nurses footwear. Comfort is a hallmark of the Dove with its slip-on style, removable contoured footbed that can be replaced with your own orthopedic insole to cater for your specific needs, along with a lightweight steel shank which offers you great stability when walking and cushioning in all the right places to make a long day on our feet a lot more bearable. This is one that is designed to make the professional nurses working day a lot less painful and take the stress and pressure of their feet as they work. 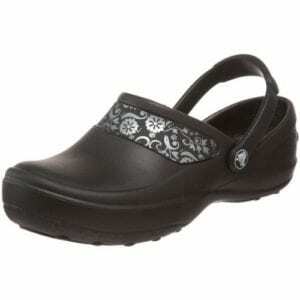 They are perfect for the RN who works in theaters as they are a slip-on style that is easy to put on and take off. This is footwear that is designed for nurses who are no strangers to 12-hour shifts spent predominantly on their feet. The lightweight steel shank offers stability while the slip-resistant sole keep you safe no matter the surface you walk on. Removable contoured footbeds and great cushioning add to the shoes high comfort levels. Footwear that any male nurse would love to own. It provides for the comfort, stability, and protection they need when working long twelve-hour shifts as a professional RN. The leather upper slip-on design one is tested to meet the Mark II non-slip standards. The rubber sole and non-marking oil and slip resistant rubber outsole keep you secure no matter what surface you walk on and prevents slipping. The leather not only looks great but is easy to clean and maintain and is stain resistant. Comfort is provided for by the medial side gore for the best fit and superb comfort. The TPU stability shank and the Cush PU with a memory foam footbed ensure your comfort through the day. The EVA midsole is compression molded so the footwear will support your foot and provide the stability you need. The slip-on style one is easy to put on and take off but stays securely on your foot all day. A style that is durable and looks great as well, this is the best style for male nurses to wear and provides the durability, stability, and comfort that they need in their chosen profession. A stylish slip-on one with a leather upper that is durable and keeps your foot stable. The Cush PU memory foam footbed provides for a high level of comfort along with the compression molded EVA midsole. The medial side gore keeps the footwear secure on your foot and allows for easy on and off. When looking at buying a pair of nursing shoes there are a number of qualities you need look out for. Comfort and protection from falling objects and slipping on wet or hazardous surfaces are just two of them. The material that they are made from, style of the footwear and the type of insole will all add to the desirability of the footwear. Arch Support is one of the most important aspects of any nurse’s shoes. Great arch support will prevent not only the foot and heel pain but will also help to alleviate any back and leg pain you might be suffering from. The weight of your sneakers is very important. If you are standing, walking or running every day in your job as a professional RN does, the lighter the footwear you are wearing, the more you can reduce the exertion and pressure you will put on your feet, leading to a more comfortable day on your feet. We take a look at the different styles of shoes might choose as a professional RN and how they will help you prevent foot issues, back pain or leg pain when standing, walking and running all day during your stressful and demanding job of a professional RN. See the best shoes to help manage back pain. Slip-on footwear is very popular with nurses. This is because they are easy to take off and put on, therefore easy to change if they get damaged in any way during your shift. Nursing Students and workers need to keep their footwear sterile, especially when working in the theatres, so having a pair of shoes that are easy to swap out during the day is a real bonus. Often people who work in the operation theaters need to change out their footwear as they enter or leave the theatre and this would be very difficult with lace-up shoes and lead to difficulties when it comes to keeping your hands sterile as you will have to unlace them instead of just slipping them on or off. These are the sneaker style shoes that are great for people who work in the more intensive areas of the hospital where you are running or walking a lot as opposed to standing in an operating theater. The nurses who work in the ICU’s or ER’s often prefer these types of lace-ups as they keep your feet securely in your footwear with no chance of them slipping off when running around. They are easier to run with than clogs or slip-on as well. These types of lace-ups are also closed and will provide the protection nurses working in this type of environment. Often people working here are faced with fluids on the floors as well as other hazardous materials such as needles and more. Having the protection you need it vital when working here. These sneakers for RN’s are designed to give you the support and stability you need when you are constantly on the move and therefore are an ideal choice for people working in the ICU’s or ER’s in the hospital. These are by far the most popular footwear items used by nurses and other working people who spend a long time on their feet during the day. The reason is that they are designed for optimum comfort and support and are best for standing or walking all day long. The clog has a closed front to protect your foot from spills or falling objects and they also often have a strap at the back to ensure that the footwear stays securely on your foot at all times. The clog can also be seen as a slip on due to the strap that is added. This is a perfect pair for those nurses who work in operating theatres as they are extremely easy to put on and take off. Clogs are not only roomy in style to give you ultimate comfort, they are designed to be able to relieve the pressure on your foot in the important pressure points so you can avoid those aching painful feet at the end of the day. Apart from the style of the one you choose, you should look at some other aspects that a great nursing type of footwear will offer you. A good pair will help you to maintain your posture, prevent you from experiencing back and spine problems and protect your feet from accidents such as slipping and falling or from spillage of fluids. Having a pair that will protect you from exposure to these things is important. Consider the material the pair is made from. Synthetic materials tend to get hot and uncomfortable, and having a pair that is made from natural materials such as leather is preferable. Also, a pair that has a material that is easy to clean and maintain as well as the shoes being water resistant as a nurse is definitely a must. Durability is very important, as if you buy a pair of clogs that deteriorate after wearing them after only a few times, you will find that even if you have bought a pair of shoes that have all the qualities you need to avoid heel pain. Durability in a pair is important as you are going to be standing for a long time and they will wear out a lot faster than your average footwear. As your clogs wear out it will get a little looser and your foot will no longer be as supportive of your foot and heel. The fit of the footwear is of ultimate importance when selecting the right one. No matter what type you choose, you need to ensure that you get the right fit for your size and shape of the foot. If you get a comfortable pair that does not fit properly you will find that you end up having very sore feet at the end of your shift. It is not only the footwear size that is important. You need to consider if you have fallen arches or flat feet, and other foot issues such as plantar fasciitis or wide feet. There are many shoes on the market that caters to people who suffer from different foot ailments. As was said before, if you can get a pair that has a removable insole that you can replace with an orthopedic insole to help you cope with any foot issues is ideal. No matter what type of pair you choose as a nurse you need to make sure that it is one that is going to offer you what you need to be able to get through your day. Nurse’s work is both stressful and demanding. 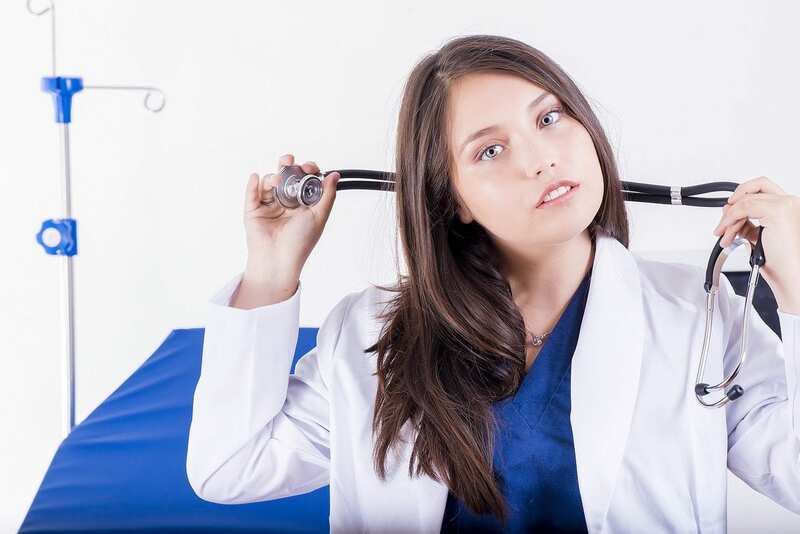 You are not able to take breaks often and spend most of your day on your feet and they take a lot of pressure from lifting patients, walking, running and standing for long hours while working. Getting the right pair will make all the difference to your work day and help you to avoid aching, painful feet, back, and legs after a long day at work. Your footwear should not only protect your feet and offer the comfort you need, a great pair of shoes will also ensure that you place less stress on your back and legs. A nurse’s day is very intense. Running, walking and a lot of standing is part and parcel of the job. This is very demanding on your feet and if you have the wrong style, you could find yourself suffering from foot, back and leg pains that will cause great discomfort. A shoe that offers padded insoles as you will be standing on hard surfaces all day long and insole that you can remove and replace is also a great option especially if you need an orthopedic insole to help you cope with any kind of foot issues you might have. Conditions such as plantar fasciitis is a problem for people who spend the majority of their day on their feet and a comfortable footwear will go a long way in preventing such conditions. Slip-on or clog like ones are some of the most popular styles of footwear for nurses as they are easy to take off and put on and unlike lace-up footwear do not place a lot of pressure on your arches when worn for long periods of time. Having a pair without laces also negates the possibility of tripping over laces that have come loose, or having to tie your laces at the most inconvenient times. The material of the footwear will also add to your comfort levels when selecting the right type. The material you should consider should be breathable to allow your foot to get good airflow keeping them cool during the day. They should also be supportive, easy to clean and oil and water resistant, and this is why leather is a great option as a material. The fit of the pair is also a very important aspect of your pair. You can have the best pair on the market but if you have the wrong fit, you will soon find that the pair causes you pain when walking, standing or running all day, as well as placing you in danger of tripping or falling. Your footwear should have a comfortable fit that allows your foot to be secure yet offers some space for it to move. A roomy comfortable fit is what you are looking for, especially if your one has a toe box for protection. The right one for nurses will allow them to concentrate on their stressful and important work instead of sore, uncomfortable feet is vital when you are working in this very important job. Often a nurse will find that they suffer from lower back pain, heel pain, and foot deformities. Often nurses will find they suffer from plantar fasciitis as well, all of this is caused by wearing the wrong footwear when working in a profession that requires you to be on your feet for long periods of time every day. Standing for very long hours causes huge stress on your heels, especially if you are varying between standing and running throughout the day. Nurse’s shoes are designed to help you cope with the stress and pressure that your heels will have to endure when working as a professional nurse. Arch support is vital along with having comfortable footwear will go a long way to alleviating any kind of heel or foot pain you may experience when standing, walking or running every day. Comfort will definitely allow you to avoid the heel pain that you might suffer from if you spend long hours on your feet. If you have the right footwear with the best comfort levels, then you will find that the pressure you place on your feet and heels is reduced and therefore will reduce the amount of pain that you may experience. Great arch support should be one of the priorities when looking at footwear to help you negate heel pain. Arch support will allow you to take the pressure off the bottom of your feet and heels and all stop your footwear from squeezing your feet, providing a great fit. Arch support is the quality of the ones that will alleviate the possibility of suffering from plantar fasciitis and heel pain and is a major consideration when considering which one to purchase. You should also consider what style of footwear you choose to wear for your particular shape and size of the foot. 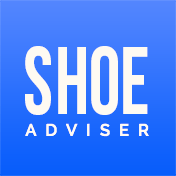 Lace-up footwear often offers better arch support than other shoes and can help you to relieve the heel pain you suffer from. However, clogs and slip-on shoes also provide the arch support and other aspects that will help you deal with painful heels and feet. For RN especially, it is important to get it right when selecting their footwear. Every person has different sizes and types of feet. Some have narrow thin feet and some have wide feet and each person will need a pair that caters to their unique shape and size of the foot. Styles of the footwear will make a big difference when selecting the footwear that is specifically designed to accommodate for larger, wider or narrower size of the foot. If you suffer from wider than normal feet, you need a pair that offers a lot of room and a type with a wide footbed is ideal. The style of shoe will help you to cope with having wider than normal feet. Clogs are designed to be a little roomier than other types of footwear and are best for those people with wider feet than others. The wide base of clog style footwear is best for those with wide feet, and they are designed, not only to support your feet at all times but also to ensure that you get ultimate comfort levels. Men and women have different needs when it comes to footwear. Men will find different styles of footwear preferable to what women desire, although there are some basic similarities that both sexes require when looking for a pair of shoes. Comfort, support, stability, and durability are all common qualities. Men require a shoe that is slip-resistant as when working in a hospital environment you will often encounter spills. This also means you need a pair that is easy to clean and maintain. The leather is often a shoe of choice as they are also water and oil resistant. This will protect you from fluids and other hazardous materials you may encounter in the hospital environment on the surfaces you walk on. The great arch support that will help you to alleviate your heel and foot pain. It will not only stabilize your foot but will also help you to align your feet to a neutral position. Cushioning will help your foot absorb impact shock when walking or running and allows your foot to distribute the weight of your body. Inserts are an important aspect of any shoe, but especially for people who are spending long hours on their feet. Having a pair of shoes that allows you to remove and replace your insole when it wears out, or if you need an orthopedic insole to help you deal with foot issues you may have. When you choose a profession that requires you to spend up to twelve hours if not longer on your feet you need to look for a shoe that provides not only the comfort and protection you need. A shoe that will provide non-slip protective footwear to keep their feet secure throughout their working day. 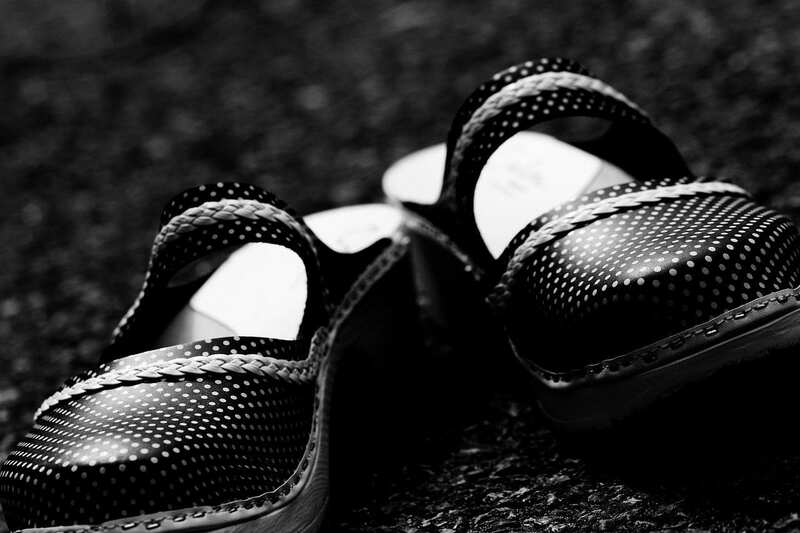 Stylish looks and easy to clean qualities are also desirable in these types of footwear. Nursing is no easy job, and having the right shoe will make it a little easier for nurses to concentrate on their difficult job and not sore, aching feet. When your chosen profession keeps you on your feet for up to twelve hours a day you need a shoe that will provide you with the best comfort, support, and durability. The Dansko Women’s Professional Clog provides the professional sister with a great looking shoe that has many features that all professional nursing sisters will appreciate. The Dansko is not only great looking it is easy to clean with a leather upper that is both stylish and durable, the synthetic sole offers you slip resistance and ensures you remain stable on your feet even when dealing with hazardous surfaces. The heel is around 2” and the platform around 0.5”. Comfort is provided for by the padded instep collar, polyurethane outsole which has a rocker bottom that absorbs the shock as you walk or run. The wide heel of the shoe also provides you with the stability you need and not only does the rocker bottom provide the comfort you need it propels your foot forward as you walk. The reinforced toe box provides the protection you need from falling objects. With all the great features that provide for stability, comfort and great protection from slipping or falling objects, there is no surprise that we have selected this shoe as our top choice for nursing sisters shoes in 2019. This is one of the most comfortable nurse’s shoes on the market. The Alegria Women’s Debra leather Slip-On shoe is practical and durable and best for the professional nursing sisters. The high-quality finish of these leather upper slip-on style footwear gives it a very stylish professional look that RN’s will appreciate. It provides the comfort that is vital to people who spend most of their day on their feet. The roomy foam bed with elastic goring makes this shoe comfortable and easy to put on and take off. The classic look of the shoe also offers a perfect anatomically designed insole for the best fit. If you need to wear special orthopedic insoles it is no problem as you can remove and replace the insoles. Protection is one of the requirements for any RN’s shoe and the Alegria provides a comfortable roomy toe box that will protect your feet from falling objects. The memory foam footbed cushions the foot and the lightweight rocker outsole prevents slipping and falling with the slip-resistant qualities that are a requirement for any professional working shoe. Great looks, great stability, comfort and excellent non-slip and toe protection combine to provide you with a shoe we have chosen as our premium choice RNs shoe for 2019. 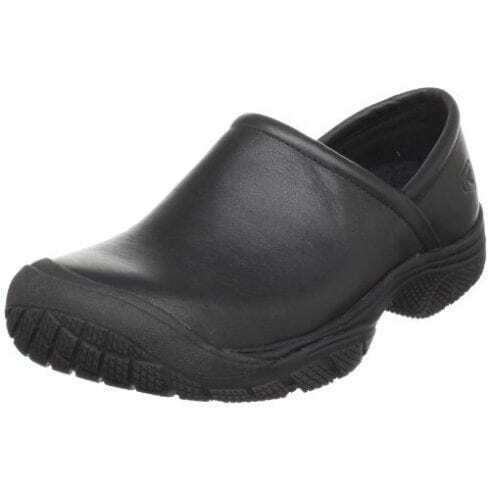 When are looking for great RN’s shoes that will not cost you a fortune you can look to the Crocs Women’s Mercy Work Clog and get exactly what you need to provide the comfort and protection every professional RN needs. These well priced Croslite shoes that offer a roomy design which allows your foot the room it needs to move, perfect for the RN. The lock tread will ensure that you remain stable on your feet no matter the hazards you might face with spills on the floor. The heel-hugging backstrap ensures the shoe stays securely on your foot and the closed toe protects from falling object or spillages. An extremely comfortable shoe for RNs it features massaging nubs that run along the footbed of the shoe and gives you a massage-like feel when you walk and this along with the arch support provided ensure that your feet get the comfort they need for those extremely long days on your feet. The outsoles are not only non-marking but also non-slip, and the shoes are easy to clean, odor resistant and oil resistant. The Crocs Women’s Mercy Work Clog is a professional RNs shoe that offers everything you need to provide you with comfort, support and stability at a fraction of the price of some other footwear and makes it our great value pick for 2019. Nursing is something that is taken very seriously, and rightly so! The uniform a nurse wears is extremeley important (as this study suggests). There is a particular nursing dress code, that must be adhered to – but that doesn’t mean that it has to be dull! Wearing bright colours and feeling comfortable is a must. Nurses have one of the most important jobs in the world, and they are an amazing (and vital) part of our society. We hope you enjoyed our article on "The 10 Best Shoes for Nurses", if so, please share and rate it.